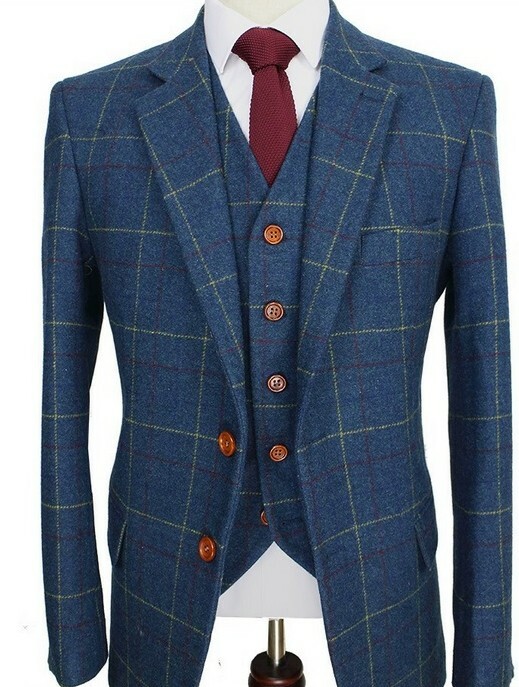 What is a Tweed Suit? 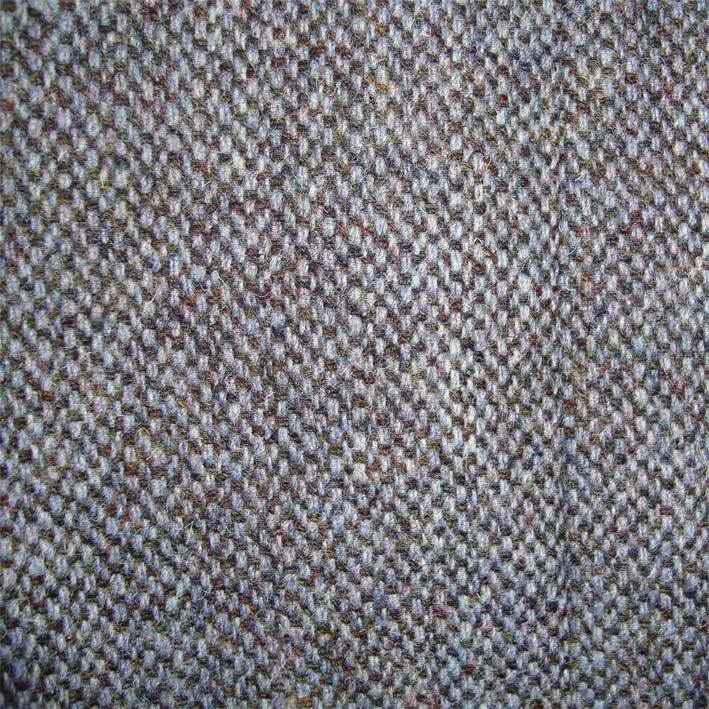 Tweed is a rough, unfinished woollen fabric, of a soft, open, flexible texture, resembling cheviot or homespun, but more closely woven. It is made in either plain or twill weave and may have a check or herringbone pattern. Subdued, interesting colour effects (heather mixtures) are obtained by twisting together differently coloured woollen strands into a two- or three-ply yarn. Most kinds of tweed yarn are made with wool, comes in many varieties and are known for their rough, scratchy texture, as well as their warmth and durability. 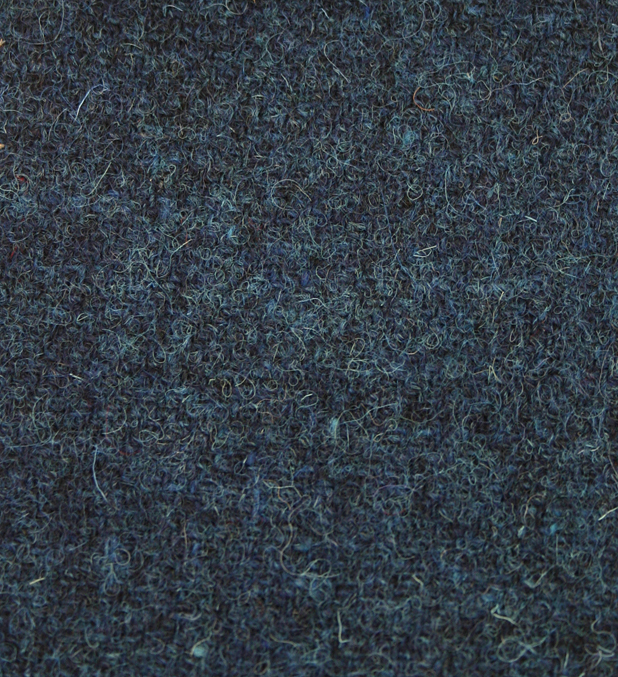 Some tweed varieties are blended with softer luxury fibres to reduce the scratchiness of the fabric. 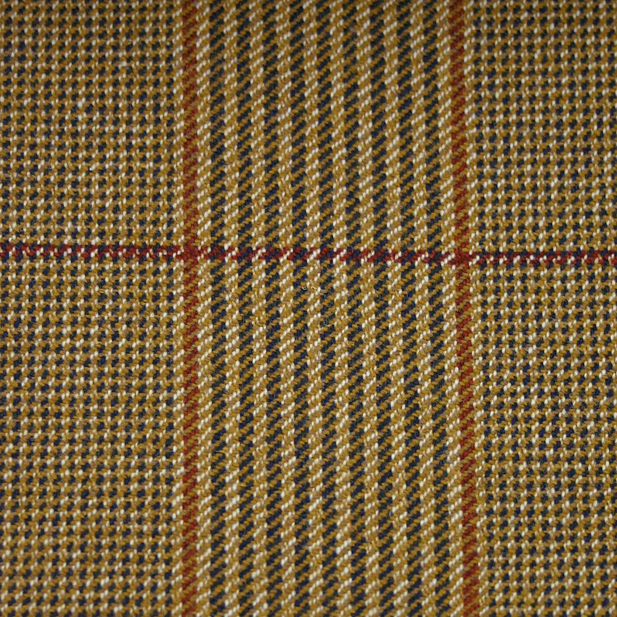 Tweed fabric is available in a wide range of weights, patterns and designs including plain twill, over-check twill, plain herringbone. over-check herringbone, houndstooth, checked tweed and tartans. Tweed garments are popular for functionality and warmth not to mention it’s fabulous style. Tweeds are an icon of traditional British Country Clothing being desirable for informal outerwear, due to the material being moisture-resistant and durable. Tweeds are made to withstand harsh climate and are commonly worn for outdoor activities such as weddings and special occasions, in both Ireland and the United Kingdom.The original name of the cloth was tweel, Scots for twill, it being woven in a twilled rather than a plain pattern. Wearing a tweed suit puts you in a class above everyone around. It is generally considered the mark of a Perfect English Gentleman. It’s easy to get confused about types of tweed that exist. Some are named for the sheep that originally produced the wool, others are named after the region from which they came, still, others are gathered up as part of a brand name, and yet more are named for the function they were called upon to perform. The following discussion will help to make some sense of all this. 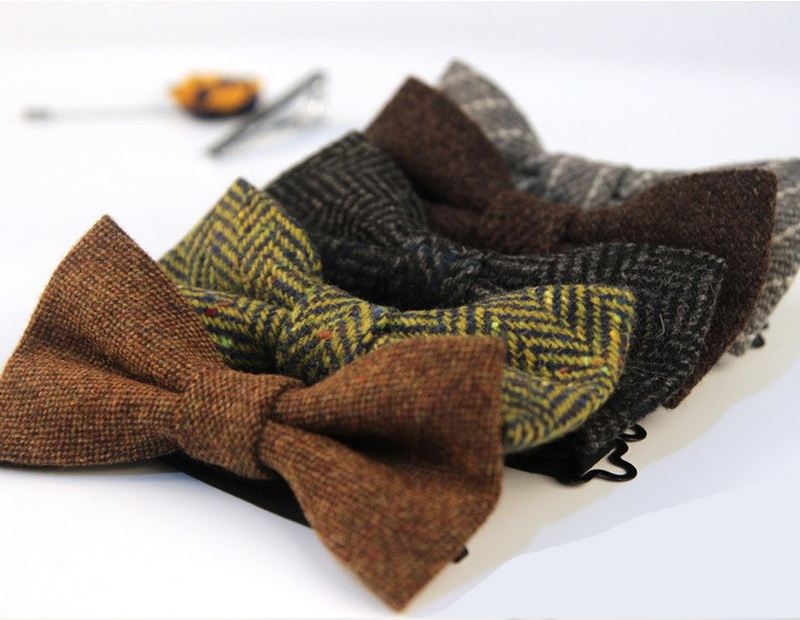 Whilst we have displayed some varieties of tweed below, it does not mean these are the only types that exist. Neither does this mean we have the exact design or pattern in stock. 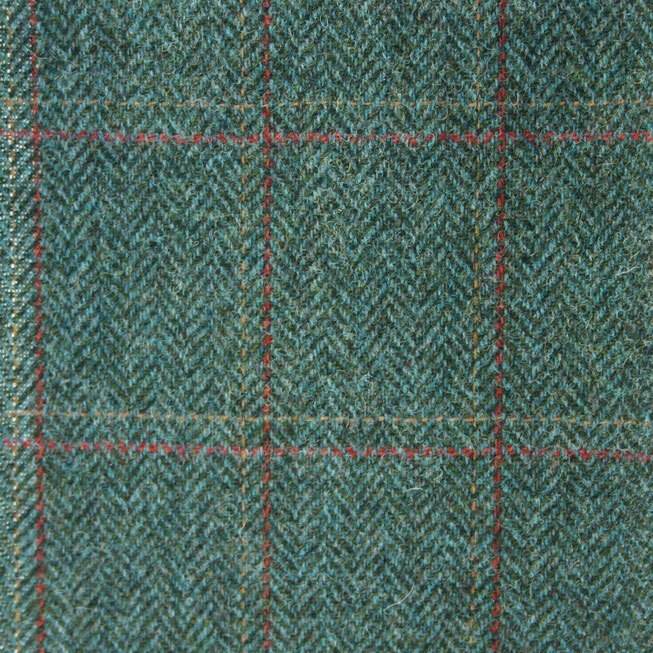 These are just to give you an idea of the types of tweed fabrics that exist in today’s market. The Twill is a simple weave with a diagonal pattern running throughout. It may be either obvious or so subtle that the fabric appears plain. Un-patterned tweeds range from effectively single-coloured to highly dappled or mottled with a strikingly textured mix of colours. Traditional twill with a large checked design overlaid in a contrasting colour. A herringbone pattern consists of columns of slanted parallel lines. The direction of the slant alternates column by column to create s v-shapes. A typical thin herringbone might use a pattern of four threads alternating direction with the next four threads (4—4) but larger sizes of 6—6 or 8—8 are common, sometimes even up to as large as 12—12. 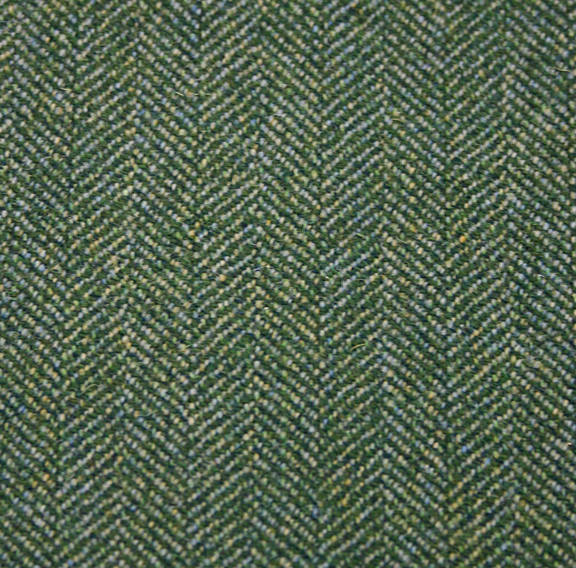 A traditional herringbone pattern overlaid with a basic check. 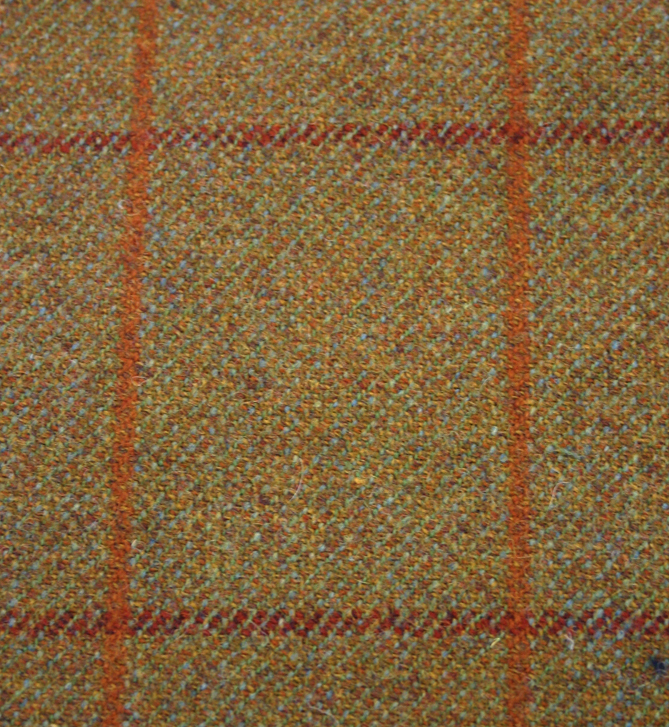 These are often known as Estate Tweeds, as each Highland estate would typically commission its own distinctive version for its gamekeepers and for when hunting, with colours tones chosen to match the estate’s local landscape and vegetation, for camouflage. Barleycorn Tweeds have a prominent flecked pattern, giving it a richly coarse appearance where the complex colours merge into a single shade from a distance. Striped tweeds include a distinctive vertical line or lines to create visible stripes of various sizes.